That “thunking” sound when you are driving can only mean one thing: a flat tire. Flat tires are inevitable due to sharp nails on the road and balding or thinning rubber that eventually blows out. Rather than fearing this situation, learn how to deal with it responsibly and safely via these do’s and don’ts. Learn how to change a tire by following detailed YouTube tutorials or asking an auto maintenance-minded friend or family member for guidance. Familiarize yourself with all of the parts and tools necessary for changing flat tires, including jacks for raising the vehicle off the ground and lug wrenches for loosening lug nuts on the wheel. Create a flat tire kit with all of the tools you need and add it to your car’s trunk. Stay aware of your surroundings at all times during a tire change, especially if you are stranded in a high-traffic area. If you feel unsafe or uncomfortable changing your flat tire because you are on a highway or other busy road, call a roadside assistance service and wait in your vehicle for help to arrive. Do not wait on the side of the road, even if it seems safe, as you could still suffer injuries from another driver losing control. Request an inspection of your spare every time you take your vehicle in for a tire rotation. The auto repair team will check the spare’s pressure as well as any signs of wear or damage. This is especially important if you keep a spare under your vehicle because of the increased susceptibility to damage from rocks and other debris. Rely on your spare for too long. Do not drive with your spare for an extended period of time. Also known as a donut, a spare is a temporary flat tire solution. Spares are smaller than regular tires with lower air capacities and are unable to withstand road heat for weeks or months. Refer to your owner’s manual for where you should place your jack so it makes contact with the vehicle frame. Use your owner’s manual to learn more about the type of tires your car features as well as spare recommendations, such as going no more than 55 miles per hour. This is again due to spare tires lacking the heat resistance of their regular counterparts. 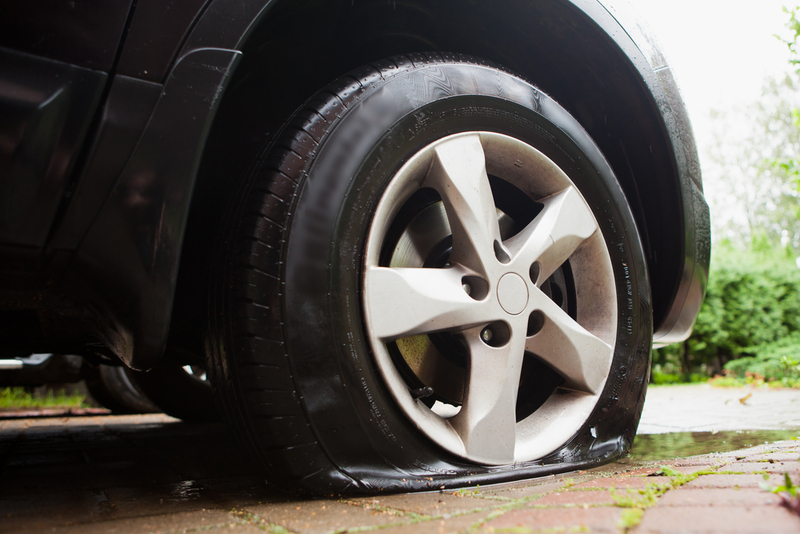 Never position yourself under your car when changing a spare tire, even if you trust the quality of your jack. It could still move or fall, resulting in serious injuries. Crawling under your vehicle also increases your chance of injury when you are on a busy road because other drivers may not see you. Avoid premature flat tires by scheduling routine tire rotations with the friendly experts at Arizona Auto Repair & Towing. The Adrian, PA, auto repair shop offers over 40 years of experience and a range of services, including 24/7 emergency towing. Call (724) 868-2886 for a free quote or visit the auto maintenance team online. Like the Facebook page for more helpful tips.